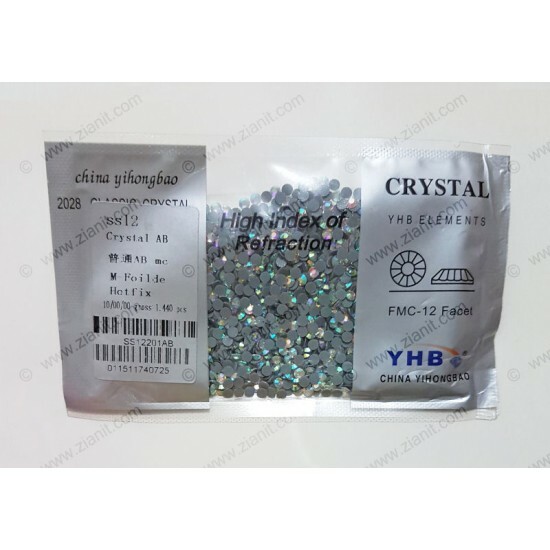 This is genuine YHB Glass Crystal, which is manufactured in China. The size is SS 12 (~3.2mm) and comes with original factory packing of 1,440 pcs per pack. The color is Crystal AB.